Portable Workhorse. 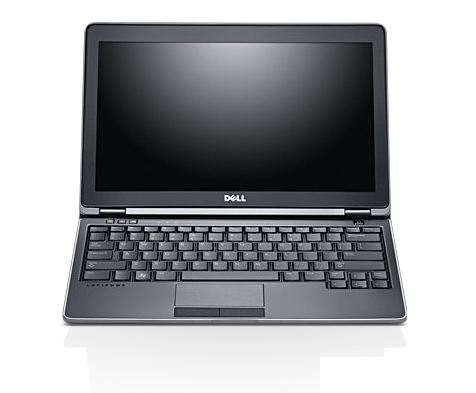 Dell demonstrated a prerelease model of the Latitude E6220 back in February of 2011 at the “Dell Means Business” event, and the buzzword peppered throughout the press release was “field workers”. The Gen-Y professionals to whom this subnotebook is intended will enjoy the Latitude E6220’s ruggedness, style, and ease of servicing/upgrading. The revamped Latitude E-family is a series of laptops and subnotebooks aimed in two directions, like Janus of Roman religion and mythology: towards the upscale market, dominated by Apple's MacBook and the lightweight MacBook Air, and simultaneously towards the rugged business computing market, currently shared with Lenovo's ThinkPad and HP's Elitebook line. This particular model, the Latitude E6220, lends itself naturally to comparison with Lenovo's ThinkPad X220 and HP's EliteBook 2560p, both ruggedized business laptops; therefore, much of this review will reference those two (sub)notebooks. For a 12-inch subnotebook, the E6220 is a little on the chunky side (over 3 pounds), but for good reason – the thing is built like a tank, thanks to its “Tri-Metal construction”, which we took to mean its liberal use of anodized aluminum, ABS plastic, and powder-coated magnesium alloy. 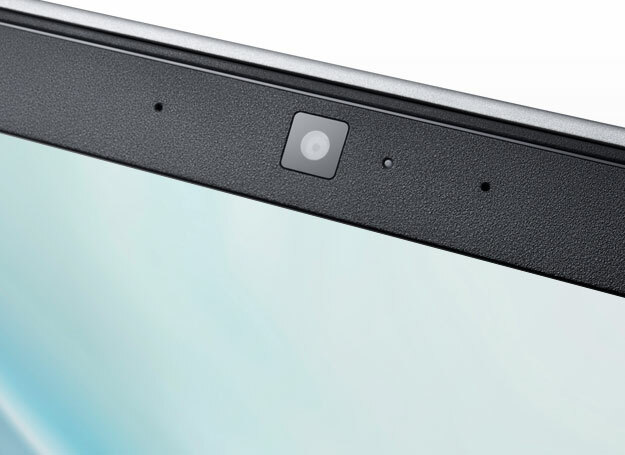 There is absolutely no flex in the keyboard, palm rests, touchpad, or screen hinges. Unfortunately, although the LCD screen is protected by a half-inch thick, matte-black padded bumper, the screen can still be flexed by a millimeter or two when grasped on both sides and flexed back and forth, causing distortions in the LCD’s image. For a laptop intended to be rugged enough for everyday use on the move, one would have thought that Dell would have better protected perhaps its most important component. Additionally, the brushed-metal screen lid looks great, but tends to scratch easily and trap fingerprints, and requires a good scrubbing every now and then to keep clean. That being said, the overall aesthetic is restrained and functional, with gray and black punctuated with keyboard accents of white and burnt orange. As far as weight is concerned, the Latitude E6220 represents a happy medium between its closest competitors, the ThinkPad x220 (<3 pounds) and HP EliteBook 2560p (4.3 pounds); mind you, part of the reason the HP weighs so much more is the presence of an optical drive. Incorporating a brushed-metal palm rest below the keyboard; the default plastic palm rest is good, and tends to remain cool in most use scenarios, but tends to warm up one’s hands uncomfortably during long typing sessions. Adding some way of keeping the display locked while closed; this adds security during transportation, and is used on most of the higher-spec Latitude E-family. 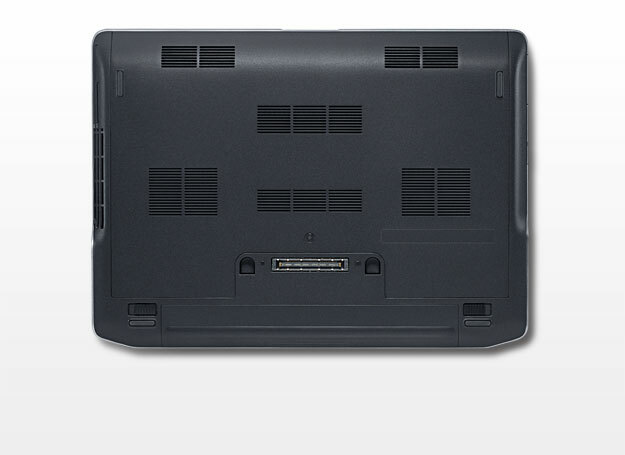 Allowing the laptop screen to be folded fully back when the 6-cell battery (installed on our review model) is used. Currently, the screen can be opened up to an angle of about 140° with respect to the base; although adequate for most working conditions, it becomes a liability in cramped spaces (such as the inside of a train car, for example), where elevating and angling the laptop towards oneself means that the poor vertical viewing angles of the LCD washes out content onscreen. The presence of the large battery protruding from the back of the E6220 forced Dell to devote most of its ports and connections to the left and right sides of the case (an unintentionally good decision, because most users do not like to reach behind their laptop during regular use, and the computer becomes usable ambidextrously). The exceptions to this rule, however, are the power connector and the Ethernet jack, which are placed on either side of the battery on the rear edge of the case. Again, a good decision on the part of Dell’s product designers – in the IT/corporate setting, when laptops are anchored to AC power and wired Ethernet, both kinds of cabling almost always feeds in from behind one’s desk. Despite the limitations on placement imposed by the size of its battery, the Latitude E6220 is no slouch in the “port options” department. The left side of the laptop (progressing from the rear to the front) contains a legacy VGA port, a combination eSATA/USB 2.0 port, a combination headphone/microphone jack, followed by a stacked module containing an SD card and smart card slot after the exhaust ventilation slot. On the right side of the laptop, again progressing from the rear to the front are a single HDMI slot, two USB 2.0 ports, the WiFi ‘radio toggle switch’, followed by a 34mm ExpressCard slot. The ExpressCard is a relic of the days when we used to connect peripherals to computers using RS232 and/or parallel ports. Most peripherals that would have used an ExpressCard connection have since migrated to USB, making this slot redundant at best, and useless at worst. 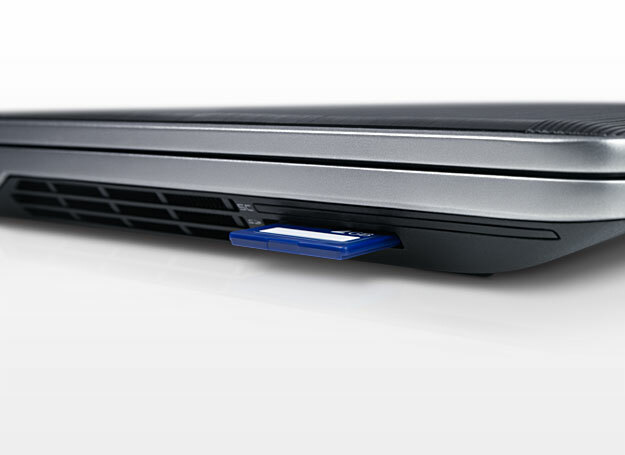 A good approach would have been to ditch the ExpressCard slot for a third USB (maybe USB 3.0?) port, which could anyway be used for an ExpressCard-to-USB adapter if the need so arises...and a second display out, such as a DisplayPort or DVI, for those of us with modern HD monitors. The laptop’s Kensington lock slot is placed uncomfortably close to the Ethernet jack. This could be problematic when the E6220 is used with a wired connection, as sudden movements of the laptop could damage the 8P8C connector of the Ethernet cable. On the other hand, there is quite a bit more space on the left rear corner of the laptop, next to the power connector, which is where Dell could have placed it. As far as network connectivity is concerned, the Dell is – once again – no slouch. Wireless connectivity is powered by the Intel Centrino Advanced-N 6205 adapter, which is capable of dual-stream, dual-band operation in 802.11a/g/n configurations. Ethernet is provided by another adapter from the same company, the Intel 82579LM Ethernet adapter, which is capable of up to 1 Gbps speeds. Bluetooth connectivity can also be added, through the optional Dell Wireless 375 Bluetooth module; however, the review sample we were sent didn’t have Bluetooth onboard, so we were unable to test it. The wireless and Ethernet adapters both performed admirably in both home (wireless/wired connections directly from a consumer router) and office settings (secure wireless/wired and VPN connections through managed network infrastructure), though the action on the wireless radio selector switch (on the right edge of the laptop’s base) became sticky and tough after just a few uses. Dell needs to make said switch much more rugged, because it’s indispensable on the go, when users need to save power in locations without Internet connectivity. 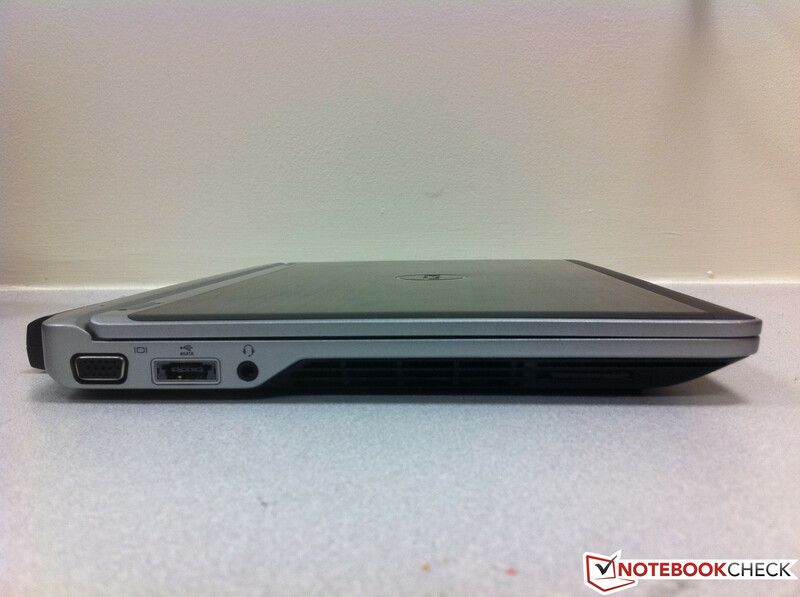 The Latitude E6220 usually comes pre-installed with one of the many Windows 7 variants, and in our case, the review sample had Windows 7 Professional. Windows Vista and Ubuntu 10.10 are also available options during pre-purchase configuration. In addition to the base operating system, the device has pre-installed drivers, and comes with Microsoft Office 2010 Starter, as well as a 30-day trial of Trend Micro Worry-Free Business Services. Although the copy of Office 2010 is potentially useful, Trend Micro’s software isn’t; Avast Antivirus provides similar, if not better, capabilities as a free antivirus solution, and Symantec Endpoint Protection is currently one of the best available paid solutions for a pure antivirus program. 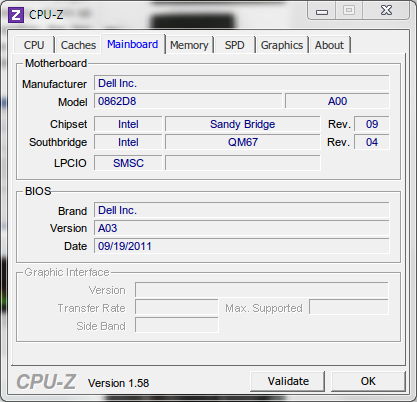 Additionally, the Intel Pro/Set Wireless software included with the driver installation for the notebook proves to be redundant in practice; with Windows 7 having brought many new and convenient network features to the end-user, additional (poorly designed, mind you, from an interaction standpoint) user interfaces for common tasks like wireless connections are confusing and unnecessary, especially when they provide little to no added functionality over the base Windows configuration windows. 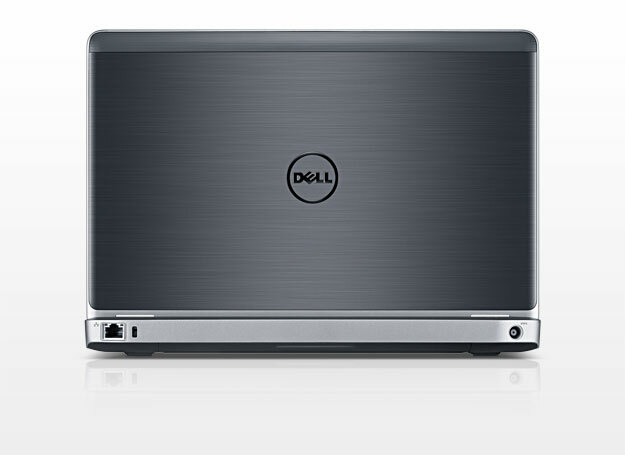 Dell features many optional accessories for the Latitude E6220, many of them useful in the business sector. For example, the notebook can be fitted with a mobile broadband HSPA-EVDO (Dell Wireless 5630) card or a HSPA mini (Dell Wireless 5550) card, as well as a contactless SmartCard/fingerprint reader, for secure corporate use. 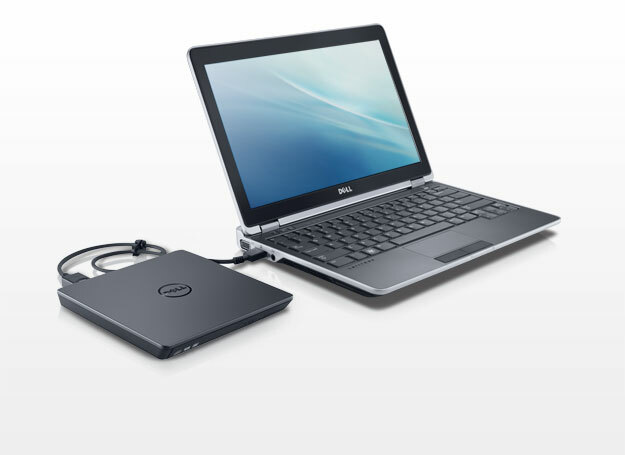 External batteries are available, in both 3-cell and 6-cell configurations, and any number of other add-ons, like included software, notebook cases, additional external input devices, and the like can be tacked on to one’s order using Dell’s website. Finally, as mentioned in passing in the Connectivity section, Dell sells many compatible docking stations for those of us who need even more connection options, ranging from the E-Legacy Extender, which provides legacy connectors, to the mighty E/Port Plus, which includes dual DisplayPort and DVI slots as well as serial, parallel, 9-pin D-Sub, and PS/2 connectivity. Furthermore, Dell makes it incredibly easy to extend the connectivity of the E6220 through their selection of extenders, and partially extend performance via RAM upgrade (thanks, Dell, for the excellent choice of making the backplate of the laptop removable via a single screw!). The Latitude 6220 comes with a 3-year basic hardware servicing warranty, but additional coverage, such as Accidental Damage protection for 3-5 years ($119 to $179), asset protection for 3-5 years ($142 to $202), or data destruction and/or recovery for 3-5 years ($25 to $130), can all be purchased from Dell during the online ordering process. 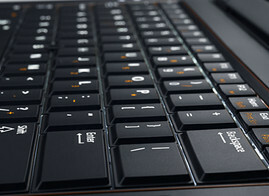 The Latitude E6220 comes with a smooth, relatively quiet, black keyboard with white lettering. Although it’s an optional feature, our review sample featured backlighting, and it’s a heck of an improvement over the stock keyboard in low-light conditions; every key stands out in clear contrast, and more importantly, the spacing between them can clearly be seen. Regrettably, the volume hotkeys above the keyboard aren’t backlit, and the matte finish on their labels washes out with overhead lighting; Dell should either have labeled them in bright white, or backlit them. The main keys of the keyboard themselves suffer from no such flaws. All of the keys are generously sized, and the spacing between them is tight enough that dust does not fall through seemingly at will. Barring a mild squeaking in the spacebar that went away continued typing, the typing feel is quick, convenient, and efficient – exactly the qualities demanded of a keyboard in a corporate/IT setting. However, the trouble with the keyboard is that it doesn’t have a right-click key. For people used to heavy keyboard use, the presence of this key on one’s keyboard greatly boosts UI navigation efficiency and overall productivity. Not every field worker or Gen-Y professional has the time or the space to drag an external mouse along with them everywhere they go, and so it comes as a bit of a shock that the Latitude E6220 features a touchpad, but no TrackPoint. Of course, there are many users that don't like working with a TrackPoint, but if the Latitude E-family intends to compete with and defeat competitors like the Lenovo ThinkPad (particularly the x220, a similarly sized laptop with virtually-identical CPU and peripheral options), it is essential that the E6220 match and/or exceed the featureset of its closest competitors. Thankfully, the touchpad does a fairly good job of emulating the functionality of a full-blown mouse. Multitouch features enable two-finger vertical scrolling, and while quiet, the action of the left and right touchpad buttons is precise and intuitive. The Dell Latitude E6220 comes with only one display option, a “12.5-inch HD Anti-Glare” LCD with a native resolution of 1366x768, slightly above the 16:9 aspect ratios of typical HD displays. While a subnotebook of these dimensions isn’t exactly aimed at graphics professionals requiring perfect color reproduction, it’s reassuring to see that Dell did a decent job selecting its display. Outdoor usage in direct sunlight. Although the Dell subnotebook certainly isn't expected to keep up with higher-spec models like its cousins further up the Dell Latitude E-family, it's rather disappointing that the E6220 had such a low luminance output (av. 165 cd/m²) from its display; this could handily explain why the display washes out almost completely in strongly backlit or outdoor use cases. However, the rather-low contrast is acceptable from a notebook of this caliber, as one can get common "field worker" tasks done without having to have the blackest of blacks clearly represented onscreen. 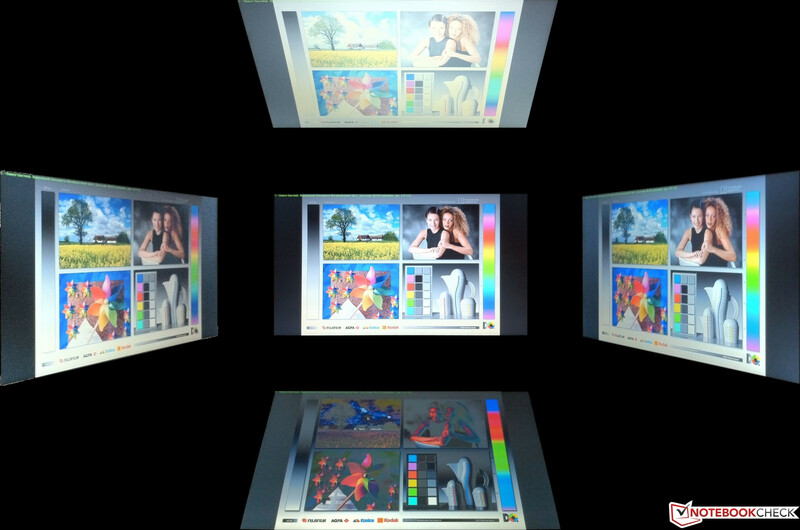 Although the color reproduction of the LED-backlit LCD panel doesn’t even begin to cover the Adobe sRGB spectrum, it matches up neatly with the ThinkPad X220 and the 11-inch MacBook Air, its chief competitors – with a slight increase in blues and yellows. 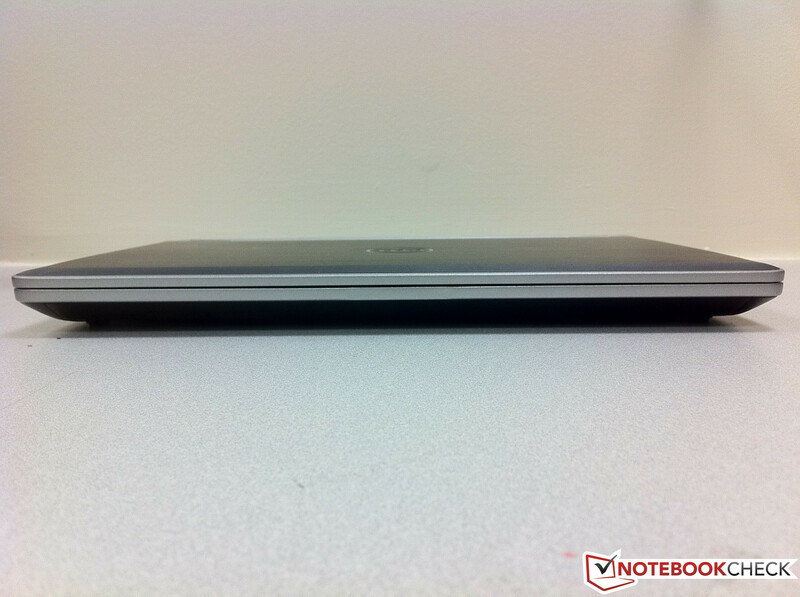 Viewing angles for the Dell Latitude E6220, using a reference image. A note for those who color-calibrate their displays: if you upgrade to Intel's newest graphics drivers, be warned that custom ICC profiles are ignored upon system reboot, thanks to Intel's "Persistence" module superseding Windows's color-calibration routines. 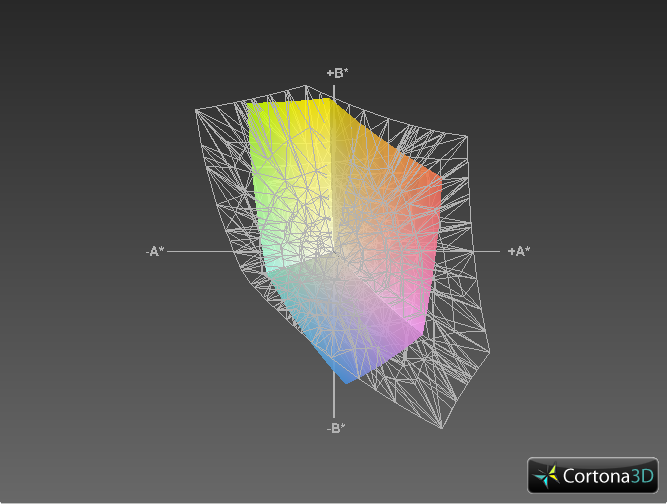 Follow along with this tutorial (using your custom ICC profile) to fix that, noting that a similar procedure needs to be followed upon every graphics driver update. Viewing angles are fantastic on the left and right, with no perceptible distortions in the image from -90° to 90°, though they are far less useful in the vertical direction, with distortions in the image as low as ±30° from center. While it may not be new information to some readers, it's important to make a distinction here. 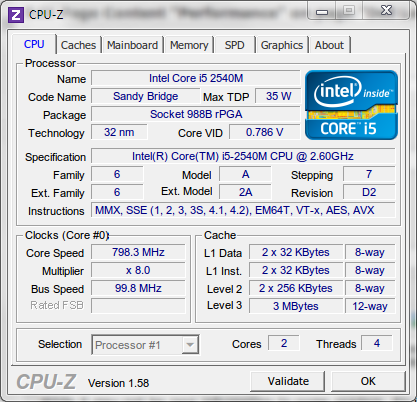 Intel's Core i5 series of processors, along with Core i7, is intended for the mainstream desktop and notebook markets, and therefore has Turbo Boost enabled -- a formal explanation of this Intel feature follows a few paragraphs below, but a short description is that it is a power-saving feature that dynamically clocks the CPU. Technical jargon aside, the review model given to us was equipped with the middle child of the above choices, the i5-2540M. My professional opinion? There's not enough of a difference between the i5 2520M and 2540M to justify a $50 price bump and a separate tier among the E6220's CPU selection, for what is essentially a slightly faster processor with the same cache size; the better move on Dell's part would be to jump straight from the i5 2520M to the selection of Intel Core i7 processors, preferably the i7 2620M and the i7 2640M. On the other hand, if Dell wants to capture the lower end of the CPU power spectrum, it would behoove them to start offering the newly-launched Core i3 2330M (2.3 GHz), which has no Turbo Boost. 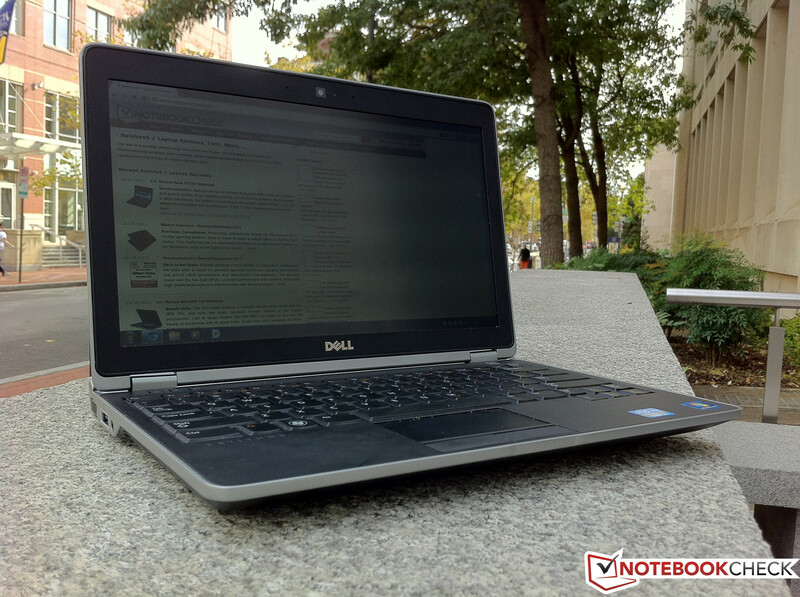 That being said, the one constant among all of the Intel offerings provided for the Dell Latitude E6220 -- is the onboard graphics unit, the Intel HD Graphics 3000. Packaged on the same silicon as the rest of the Sandy Bridge CPU, the integrated graphics, powered by technologies like Intel Quick Sync Video, enable fast, hardware-accelerated video encoding and transcoding. 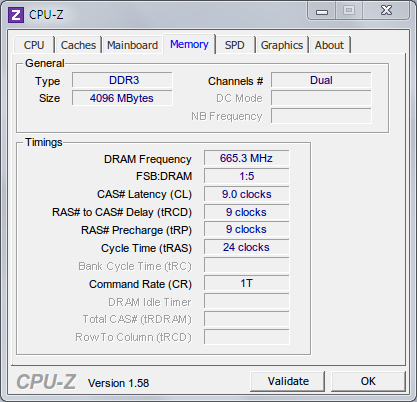 Unfortunately, while the HD Graphics 3000 is clocked at between 350 and 1300 MHz (thanks to Intel's Turbo Boost technology, which dynamically under- or overclocks the CPU depending on temperature and workload), RAM becomes a bottleneck under highly intensive graphics applications like computer games; since the graphics unit has no memory of its own, it instead dynamically allocates up to 1720MB of system memory as video memory, which slows productivity on a computer with 4GB of RAM and multiple programs open. There are plenty of choices for hard drives for the Dell Latitude E6220: 250GB to 320GB 7200rpm Hard Drives (FIPS Encrypted available) and 128GB to 256GB Solid State Drives. 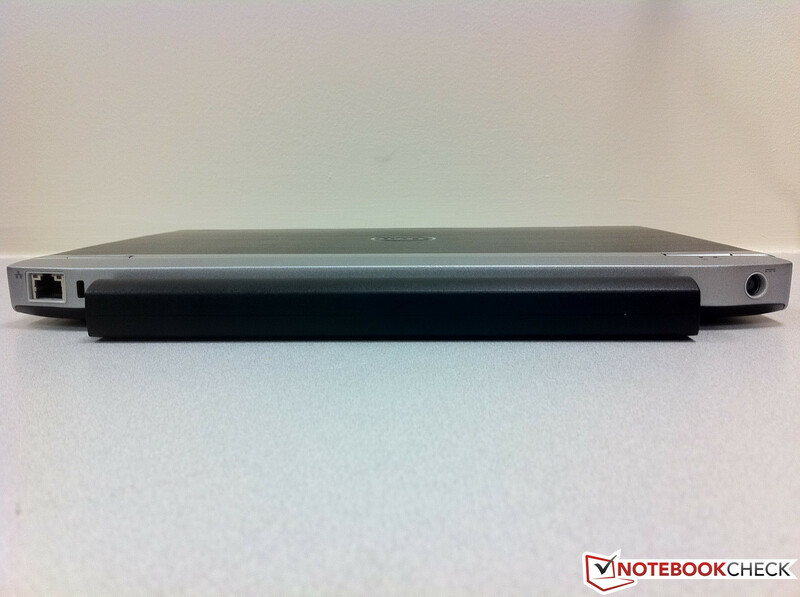 Our review model was equipped with the last option on that list, a 256GB Samsung SSD (Samsung PM810). Having used many a laptop with traditional disk-based hard drive, I can safely say that the SSD option needs to be standard on a laptop of this size and intended mobility. 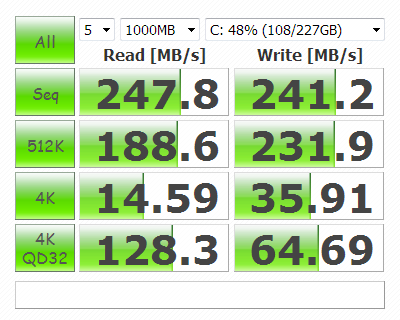 The speed given by the quick read/write time on an SSD (e.g., 15 second boots into Windows 7) more than pays for itself in productivity, and enables the computer to be quickly moved from place to place without too much danger of overheating or hard drive damage (from sudden drops, falls, etc.). 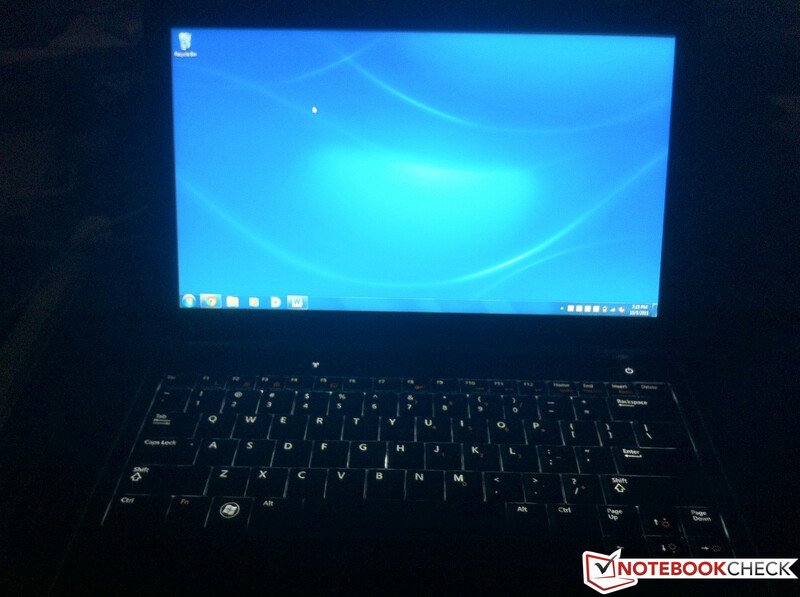 As can be seen from the Windows 7 Experience Index values for this subnotebook, the two strongest points of the Latitude E6220 are its powerful processor and its solid-state hard drive. 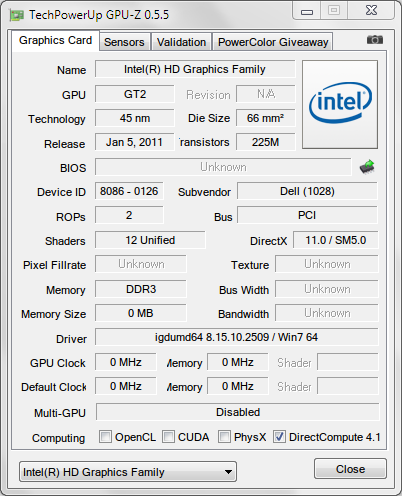 The remaining three entries are interconnected; as stated earlier, Intel's integrated graphics unit allocates virtual graphics memory from the existing pool of physical RAM, causing a bottleneck in both RAM and graphics performance -- not to mention that the HD Graphics 3000, while certainly powerful, is no real match for a discrete graphics card with dedicated memory. That being said, the Windows 7 Experience Index doesn't necessarily correspond to the day-to-day experiences of running the Latitude E6220. Our review device, equipped with a Core i5 2540M at 2.6 GHz, the integrated Intel HD 3000 graphics unit, and a 256 GB solid-state drive, is a charm for everyday use, thanks to the ample RAM and the presence of the SSD. Boot times are fast, applications load even faster, and copying/moving/saving files and folders throughout the filesystem is orders of magnitude more pleasant to sit through. Intel's Turbo Boost activates as expected, overclocking the i5 2540M under high-stress applications. As can be seen from the comparison scores, nearly all the 25xxM-series-powered computers performed close to one another in a CPU-biased benchmark; this indicates that these processors do not throttle under heavy load -- meaning that Turbo Boost works as expected, unlocking the full performance of the CPU when needed. 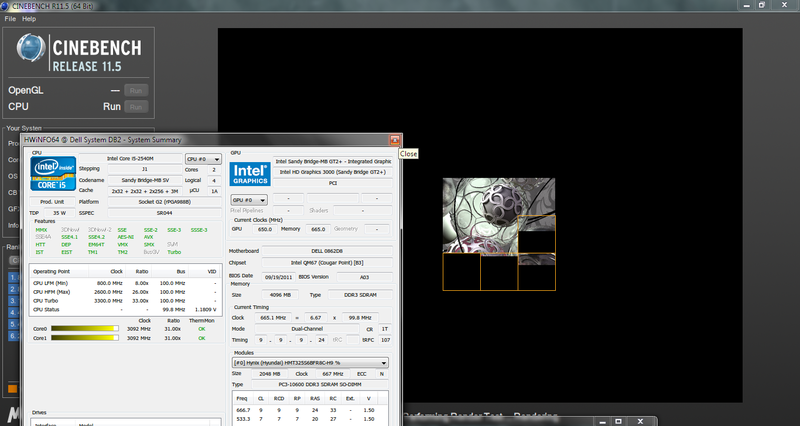 A quick verification using HWInfo64 while running the CPU benchmark confirms it. 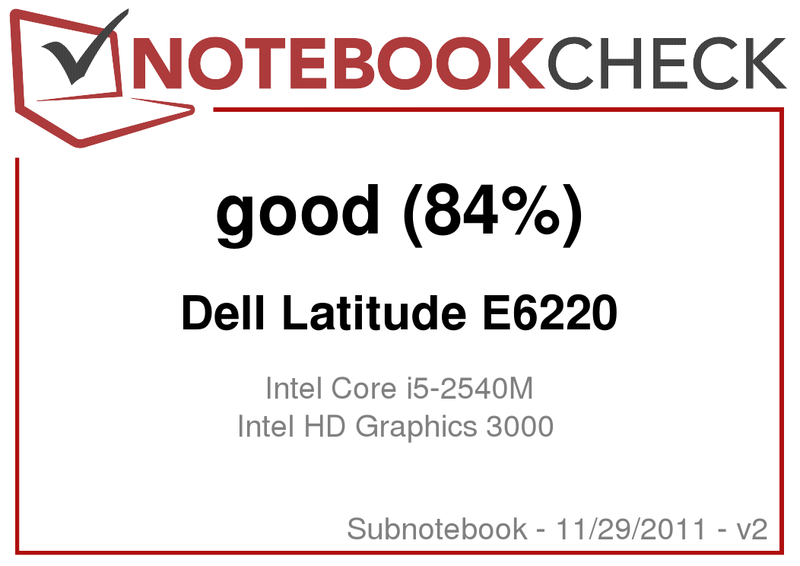 With a score of 2772 (and a 3516 on the Lightweight PCMark 7 suite), it's clear that the the solid-state drive of the Latitude E6220 is really showing its abilities here; the subnotebook is able to keep pace with notebooks with quad-core i7's, and even a few with better (discrete) graphics cards. In contrast, the ThinkPad x220 scored a paltry 2155, most likely due to its conventional hard drive, and the HP EliteBook 2560p did even worse (1594) because of a worse CPU (i5 2410M) and slow conventional hard drive. 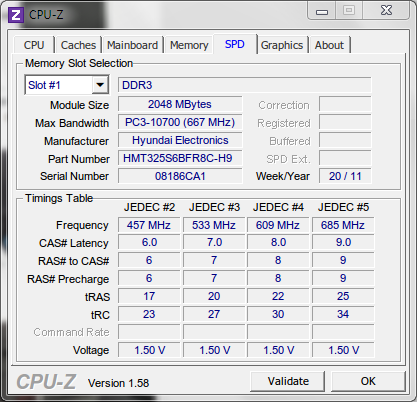 The graphics performance of the E6220, as mentioned before, is still bottlenecked by the lack of a dedicated graphics card (with dedicated video memory). That being said, the 3DMark scores of the subnotebook agrees well with other laptops featuring the same integrated graphics -- so at least the E6220's performance is consistent with the playing field at hand. Intel's wireless card appears to work fine during normal WLAN usage, with a DPC latency hovering between 200-500 μs, with an average nearing 300 μs, indicating that the Latitude E6220 has plenty of processing power capable of handling real-time data streams. There tend to be two primary offenders for laptop noise: CPU/GPU fans, and hard-drive spin-up. It's important to note that because the integrated graphics unit (Intel HD Graphics 3000) is located on the same chip as the main CPU, high-CPU conditions can be produced by high GPU usage. When the fan does kick though, it's definitely noticeable, though not harsh on the ears -- after confirming using SpeedFan, it can be seen that the Dell's fan controller spins up to a maximum of 5000rpm. With the presence of a rather large 256GB solid-state drive, the Latitude E6220's hard drive noise is negligible; the only noticeable noise occurs when data is being transferred to/from the drive close to its maximum transfer rate, and manifests as a quiet, repetitive clicking noise. 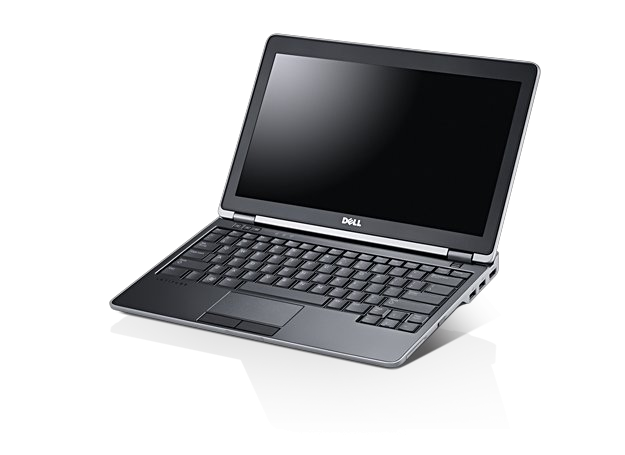 The Dell Latitude E6220 is a fast and powerful computer, but by no stretch of the imagination is it a cool one -- when under heavy load from either the CPU or (onboard) GPU, the left-facing exhaust port of the subnotebook probably puts out enough heat to ignite JP-7. As measured from both the onboard core temperature sensors and the Fluke 62 Mini IR Thermometer, the idle temperature for the Latitude E6220 hovers around 50°C. Under heavy load, such as during video encoding, 1080p playback without hardware acceleration, or MATLAB usage, the temperature rises up to almost 85°C, even with the fans at full blast. (+) The maximum temperature on the upper side is 36.4 °C / 98 F, compared to the average of 35.8 °C / 96 F, ranging from 22 to 57 °C for the class Subnotebook. As to be expected from a business mobility laptop, the speakers leave much to be desired. Bass is almost nonexistent, and for those of us who want to listen to our music collection on the go, I'd highly recommend a good pair of headphones; plugging in a secondhand Sennheiser HMD 25-1 headset uncovered bass frequencies of sound wholly unrepresented by the default Latitude E6220 experience. The Latitude E6220 speakers can get plenty loud, though they start to clip on most every media player once the system volume exceeds about 80%. Therefore, for movie watching usage, the more prudent approach would be to output sound (and video) digitally over the laptop's HDMI out. The Latitude E6220 comes with two possible battery options, a 3-cell lithium-ion battery weighing 177g and a 6-cell lithium-ion battery weighing 349g. Although the 6-cell battery, which came equipped in our review model, virtually guarantees 5 to 5.5 hours of battery life under typical mixed usage, the downside to this is that the battery protrudes from the back of the laptop. During normal everyday usage (surfing on a wireless connection) on the battery, Intel's Turbo Boost feature automatically downclocks the processor and GPU in order to reduce power consumption. Thankfully, charging the battery takes much less time than discharging it; for example, charging from 5% to a full 100% can be accomplished in as short as 30 minutes on outlet power. The freeware Battery Eater Pro was used to run down the battery under controlled scenarios. 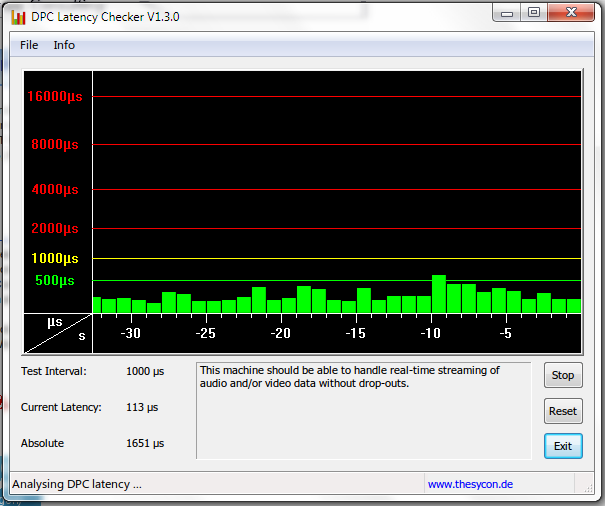 Under heavy, continuous load (classic test), the Dell Latitude E6220 depleted from full charge to 0% in 1 hour 18 minutes. Obviously, average usage is nothing like the simulated conditions that BatteryEater provides, but it's useful as a baseline minimum of battery life with the 6-cell battery. Under the Reader's Test, which simulates going through a text document continuously until battery depletion, the Latitude E6220 achieved a time of 2:25, with the display brightness set to maximum. PS: to the makers of Battery Eater Pro, you make great software, but please make a fully compatible 64-bit version, please! I shouldn't have to load up 32-bit Windows in a VM just to find out my computer's discharge rate. In short, this subnotebook is a pricey but feature-packed powerhouse. It has all the benefits a field worker would ever desire: fast processor, plenty of RAM, ergonomic design, blazing-fast solid-state drive, and a good selection of ports and connectivity. The one downside? It costs just a wee bit too much to beat out its competitors, the ThinkPad x220 and the HP 2560p, given some of the compromises in its featureset (screen, for one) and some expensive components (the 256GB SSD, versus the HP or Lenovo's 320GB HDDs). This pricing selection -- given the Latitude E6220's features -- is what makes the laptop slightly out of reach for the single office-minded customer. That being said, the E6220 is still very much a desirable option for volume purchases at the enterprise level. 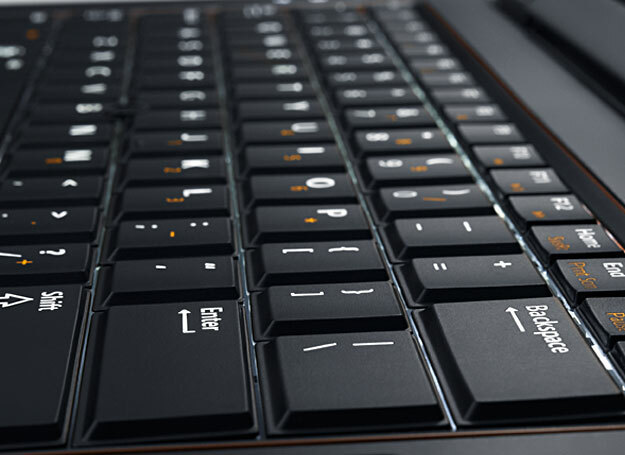 The Latitude E6220 features an attractive brushed metal aesthetic. Numerous intake vents on the bottom of the notebook allow for efficient cooling. 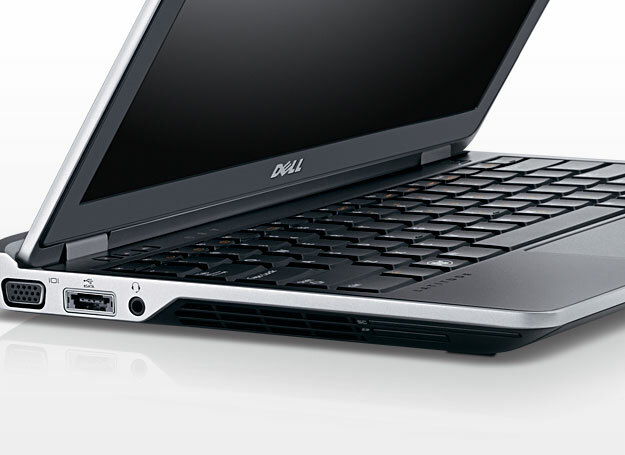 The E6220 does not come equipped with an optical drive, but a Dell external model can be attached. 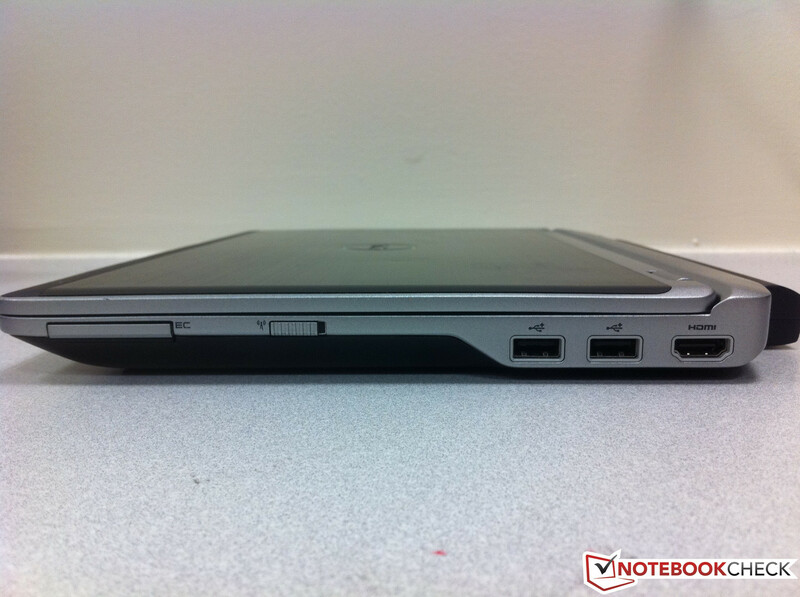 The Dell Latitude E6220's webcam, powered by Dell's own Webcam Central software, is capable of 720p images at 60 Hz. The presence of an SD card reader helps out users with digital cameras, while the presence of a SmartCard reader is useful in the enterprise setting for multi-factor authentication. The combination eSATA-USB port featured on the Latitude E6220, known as an eSATAp port, is a nice touch; it must be said, though, that neither of the organizations governing each technology have approved its combined use in consumer devices. The backlit, smooth keyboard with small panel gaps made typing a pleasure, and kept gunk from piling up in between and underneath the keys. 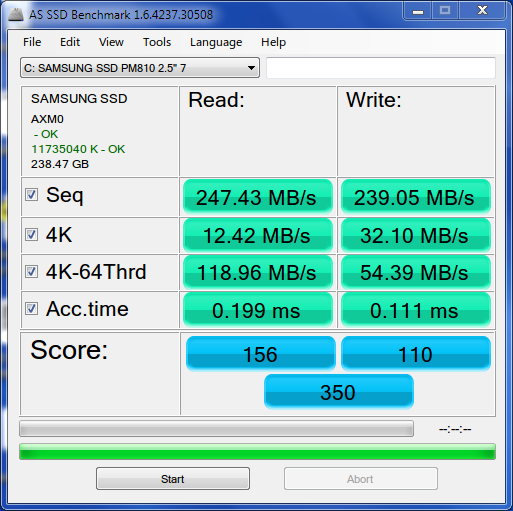 The blazing-fast Samsung SSD made almost every operation of the E6220 a breeze. 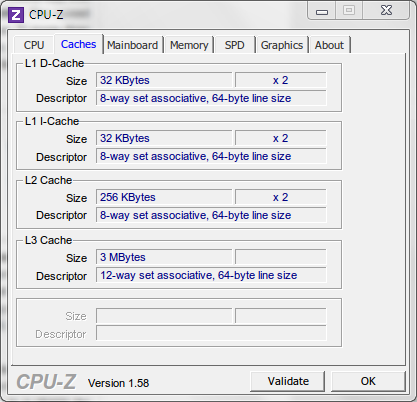 4GB of RAM sometimes seemed like not enough during GPU-intensive operations, because utilizing the GPU means increased allocation of RAM as video memory. A TrackPoint would have been nice -- it saves me the effort of lugging around a mouse of my own. Coming from a 1920x1200 media center laptop (the Dell Inspiron 9300), I was pleasantly surprised by how little I missed the extra screen real estate. The two closest laptops to this model are the HP EliteBook 2560p and the Lenovo ThinkPad x220.